‘To Tree, or Not to Tree’!! 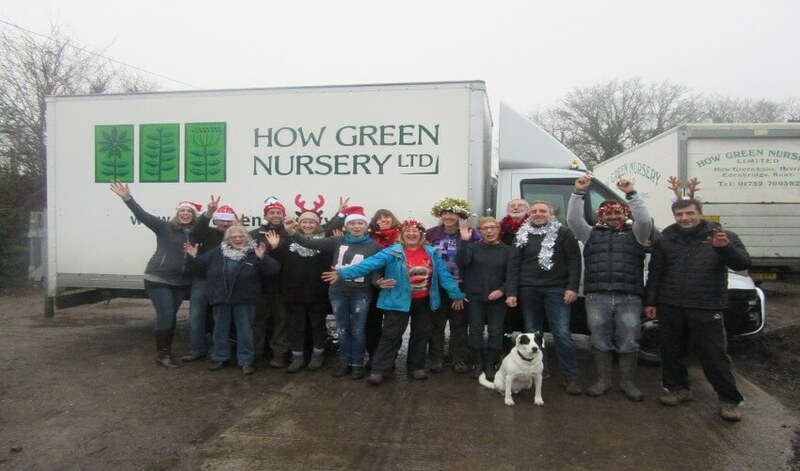 How Green Expands it’s Offerings! 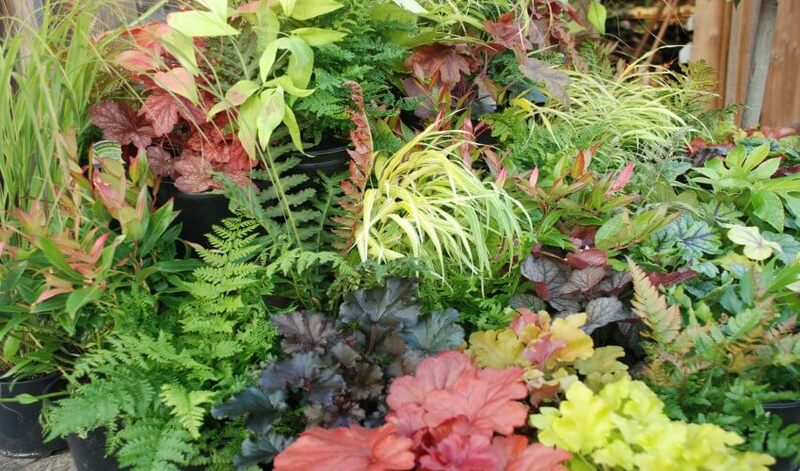 Our speciality here at the nursery is herbaceous perennials which are all grown and nurtured here at the nursery. 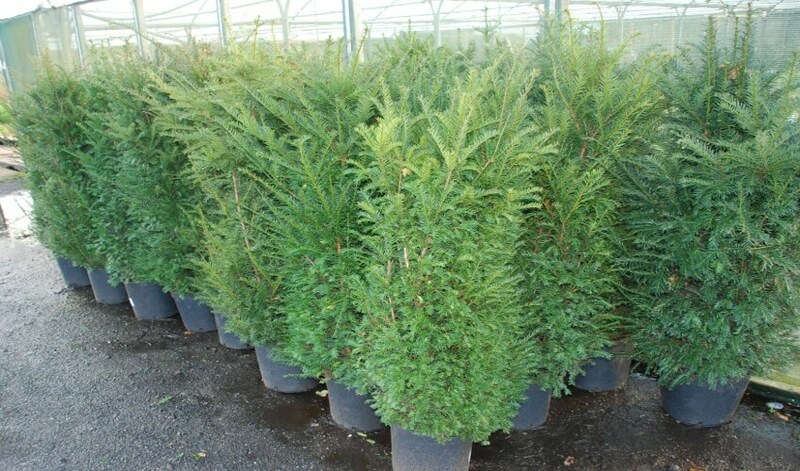 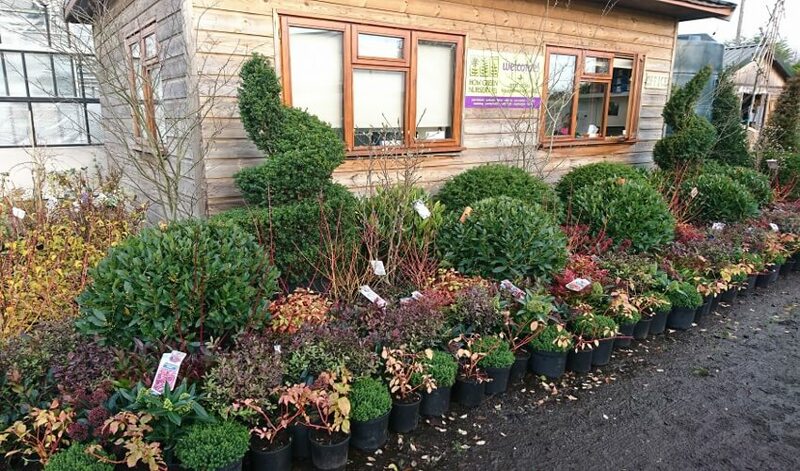 Our garden design/landscape customers are frequently looking for other material such as trees and shrubs to compliment their herbaceous planting. 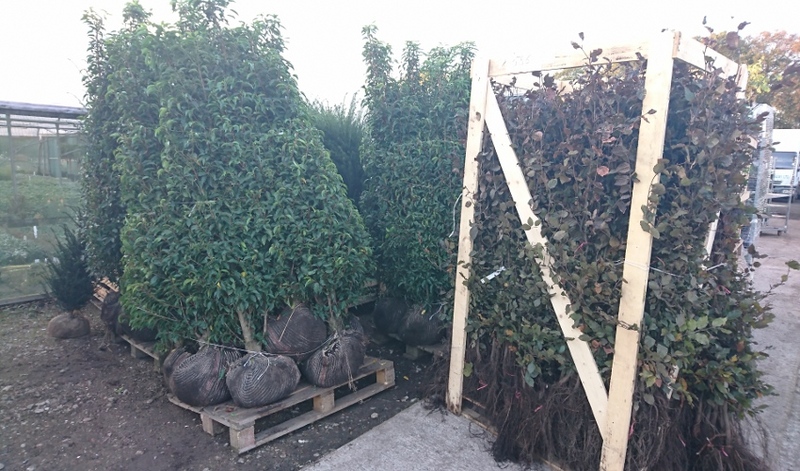 We have been working hard the past twelve months, building up a portfolio of growers throughout the UK and Europe who can offer us quality specimen plants. 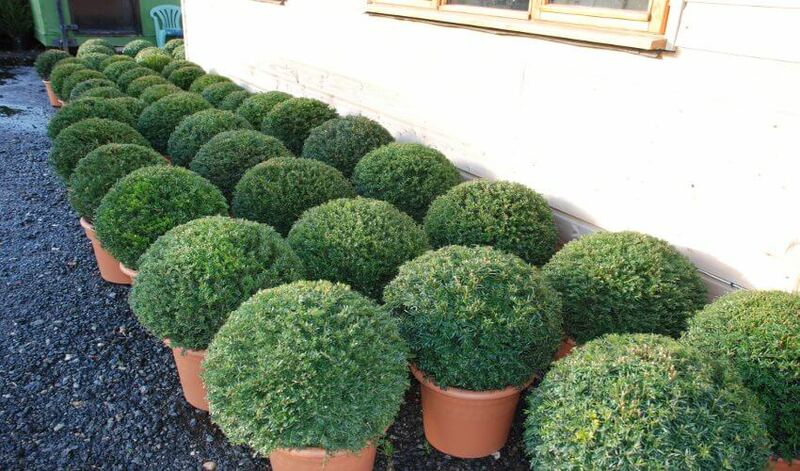 Please do not hesitate in contacting us for a quote on just about anything – the world’s a small place nowadays! 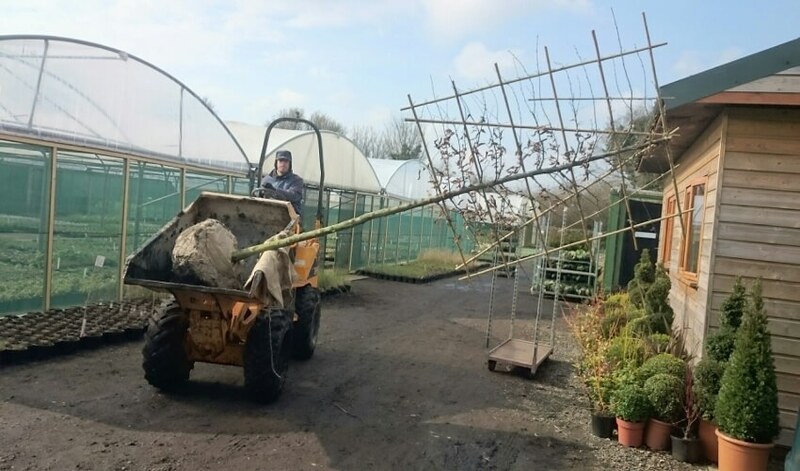 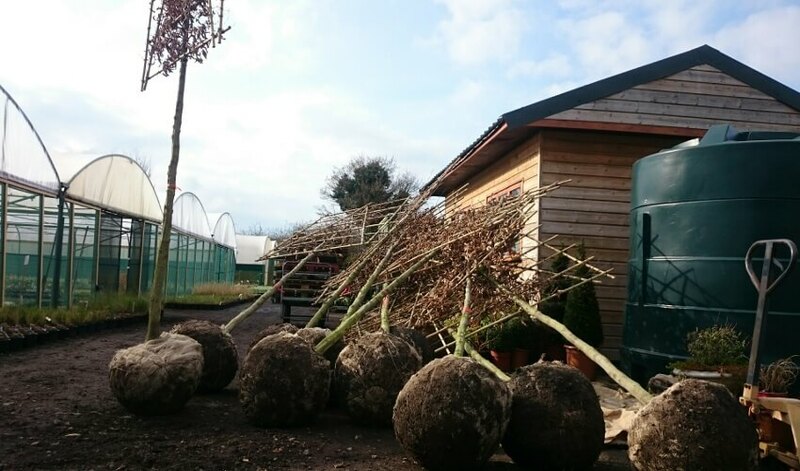 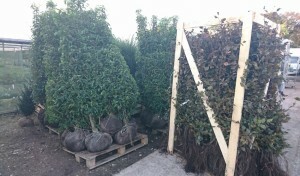 We had a lovely delivery of pleached Carpinus betulus for a client last week – he was thrilled to bits with them!